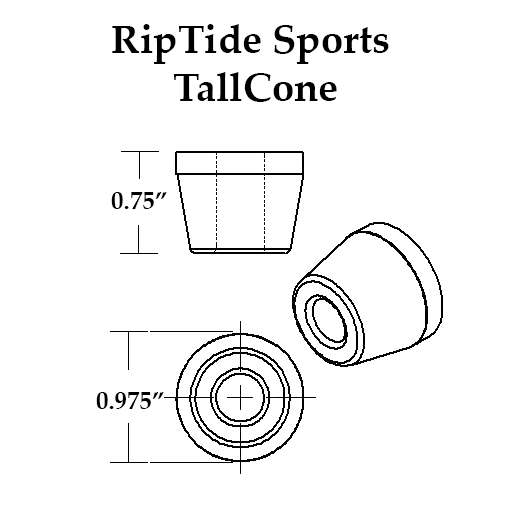 Soft durometer bushings (70a - 80a) are for light-weight riders & those looking for aloose setup in the RoadSide position. Excellent when used as a TallBarrel/TallCone combo - but incredibly fun and variable when used in the Roadside position in combo with other shapes & or duro's in the Boardside position. Switching between 80 and 85a boardside on my Bennett Vector for my pumping board, real loosey goosey but with no slop. Nice carving feel, great setup!